Book your onsite wedding reception during our month of 'Love February' for receptions held before the end of February 2020 and receive a complimentary overnight stay upgraded to one of our luxurious King Suites. Enjoy the first night of your marriage without even having to leave the property! Terms and conditions apply. 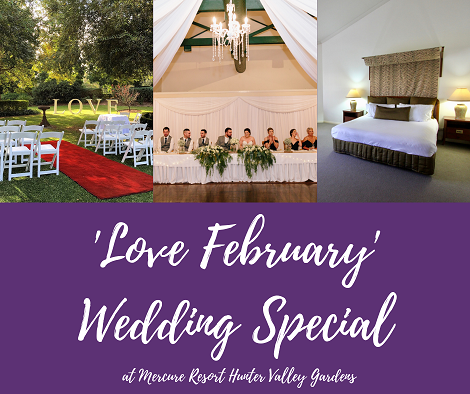 Valid for all new wedding receptions of 40+ guests booked during February 2019 and held prior to 29th February 2020. For availability and bookings contact our Events Team today.